Caitlin Wilson | Caitlin Wilson Black Friday Sale! Caitlin Wilson Black Friday Sale! Don’t miss our biggest sale EVER! 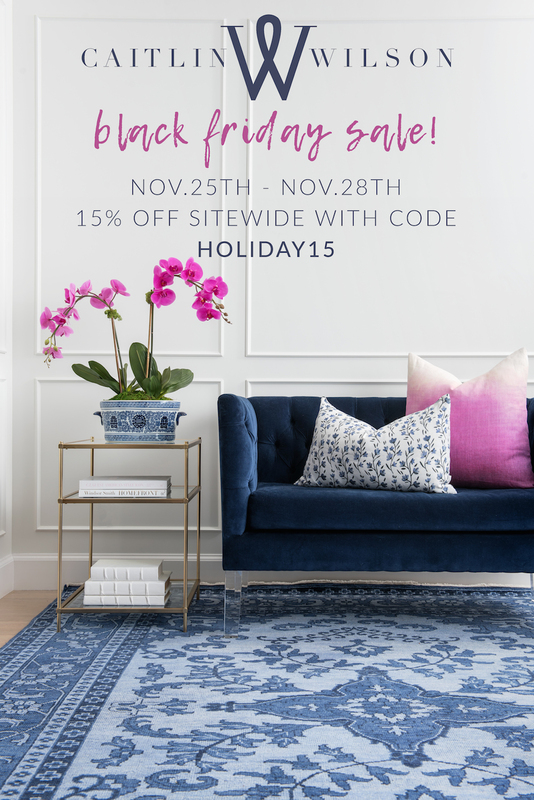 Get 15% off everything on the site — including e-design services, gift cards and our best-selling rugs! Use code HOLIDAY15 at checkout from now until November 28th. Happy shopping!